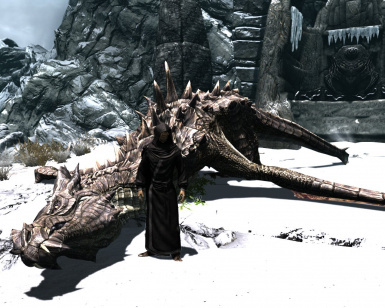 You are not the Dragonborn, dead dragons don\'t turn into bones at your feet and word walls are just... walls. Reworked "Dragon Rising" quest: you now have to talk to the jarl to get you reward. Obviously you won't be able to complete the main quest (if you haven't already). see the note below for a solution). then you can complete the quest regularly. to Shriekwind Bastion (northeast of Falkreath) to make it possible to get his mask.